The job of your Real Estate Agent is to represent your interests in selling your home with the best possible terms, and to aid you through the entire process. They are not just a Sales Associate selling your home off the rack. Each real estate transaction is different and requires thorough review and care in the process of the sale of your home. They will be willing to give the right advice even if it means backing away from the deal if they feel it is not in your best interest. At Better Homes and Gardens Real Estate Advantage Realty we take that role extremely seriously. This is what we mean by the "Client First" approach to real estate. Your interests come before our own at all times. Your Real Estate Agent will explain the process of selling a home, and familiarize you with the various activities, documents and procedures that you will experience throughout the transaction. They will determine the fair market value of your home taking into consideration the unique qualities of your property. Be aware of the complicated local and state requirements affecting your transaction. Have knowledge in the differences of Land Court and Regular Court needs in Hawaii. Be effective in multi-party, face-to-face negotiations and be there to negotiate your sale personally. Not leave it to another team member to do this very important part of the transaction. Be highly-trained with continued education and knowledge of escrow, title and land survey issues. Be resourceful in attracting the largest possible pool of potential buyers. Be knowledgeable in the technology resources that can give you the best possible reach and outcome for the sale of your property. Be assisted by a fully-staffed marketing department who will market your sale in all vehicles available both internationally and locally. Supported by professional in-house legal counsel. Have a capable, professional, knowledgeable team that also caters to your needs, questions and concerns. List your home at the right price not below market value just to get multiple offers or sell your home quickly so your agent doesn't have to work to sell it at the price you deserve. Not just installing a lock box to make it easy for agents to show your home but actively be there to sell the property to any prospective buyer. Arranging for a Broker's Open house to make it easy for other agents in the area to tour the home. 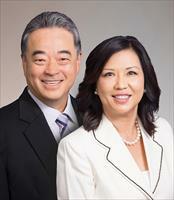 Promoting your home to the local Honolulu Board of Realtors for maximum exposure to other cooperating agents. Holding open houses until it your home goes into escrow. Contacting your neighbors to promote the property when appropriate. Featuring your property on our web site and other national and global international websites. Bringing our own prospective buyers to your home. Personally negotiating for you on your behalf not leaving it to a team member to negotiate the details with another agent. Reviewing in detail the terms of the contract and the Buyer and Seller's obligations before you sign. Throughout the negotiation, your Real Estate Agent will provide you with a professional, objective point of view; but the final decision of accepting an offer is yours. Reviewing all closing documents and ensuring both parties have copies. Your agent showing up at the final signing meeting to go over the documents you will need to sign, making sure the final statement of the sale is correct and all line items on the statement are accurate. Making sure the deeds are written to convey the property correctly. And finally thanking you for the opportunity to serve your real estate needs.